The IDEO’s library is operated by the software suite Diamond-ILS, developed by us. The 48th edition of Cairo International Book Fair has just finished. This is a key moment for the life of the library and its acquisition of monographs and journals. This year the book fair kept us busy for 10 days, between January 26 and February 8, 2017. Our team included René-Vincent du Grandlaunay and Ahmad Chleilat (monographs acquisition), Magdi Azab and Emilio Platti (journals acquisition), Amir Samir (invoicing), Imad Jamil and Ayman Hezekiel (handling). We visited all the exhibitors but only bought from 152 of them. In all, we purchased 723 monograph titles (= 1130 volumes) and completed 50 journal titles (including 9 new ones). As we expected, after the floating of the Egyptian pound last November, the price of foreign books almost doubled compared to last year. The price of the books published in Egypt, however, did not substantially increase. As comparison, in 2016, we purchased 677 titles (= 979 volumes) for EGP 81,230. 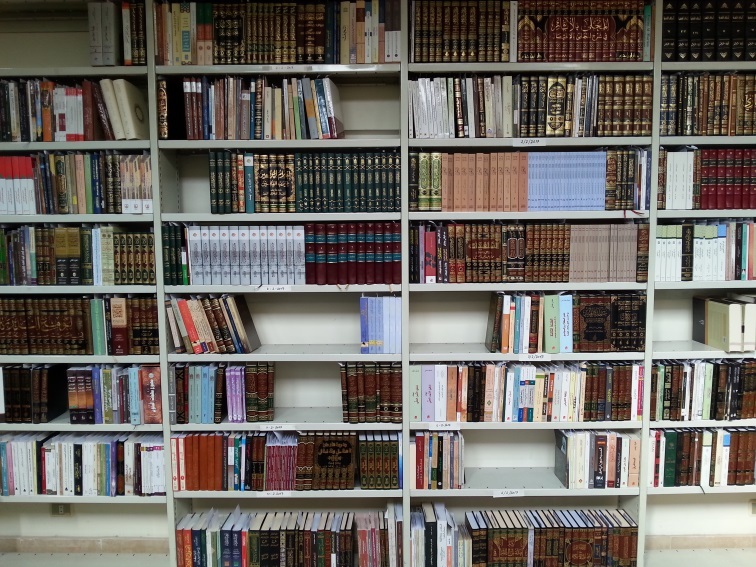 In 2017, the bill for the 723 titles reached EGP 174,298. It is too early to tell the distribution of the monographs according to their topic. But it seems that the number of editiones principes is not insignificant this year, which is a good news.